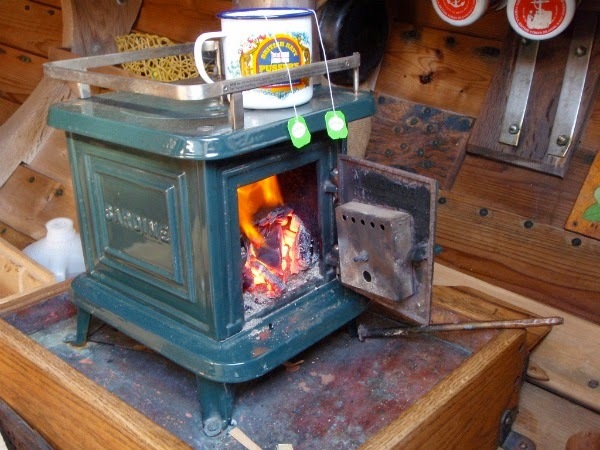 The EPA is “taking steps to provide relief to wood heater manufacturers and retailers” according to a statement released by the EPA. The EPA expects to issue a proposed rule this spring that could potentially weaken parts of the regulations enacted under the Obama administration. This move is supported by companies such as Central Boiler, the largest outdoor wood boiler manufacturer in North America, who has been aggressively lobbying to delay and weaken the standards that were to come into effect in 2020. But to some smaller companies who have already invested in the R&D to meet the stricter 2020 standards, the EPA announcement undermines the significant investment they’ve made in designing cleaner and more efficient wood heaters. Thousands of cities, towns and communities are impacted by excessive wintertime levels of wood smoke, posing health risks and undermining support for an iconic renewable energy technology. It is widely expected that part of the relief that EPA will be providing to industry is a three-year delay in the emission standards that were set to take effect in June 2020. Republicans in the House of Representatives had already passed legislation for a three-year delay, but the Senate has not. A court filingby the EPA said that it “intends to take final action on this first proposed rule by this fall,” and that would allow manufacturers to slow down their R&D and certification testing. 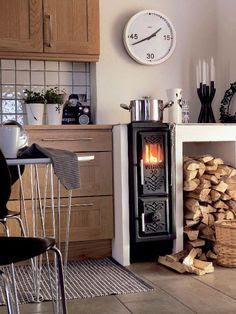 But the EPA can pick and choose which parts of the Obama era wood heater regulations that it wants to rewrite and they say they will issue a series of federal register notices asking stakeholders for comment and input on substantive issues. Experts believe that a statement released by the EPA indicate that emission test methods are being considered. 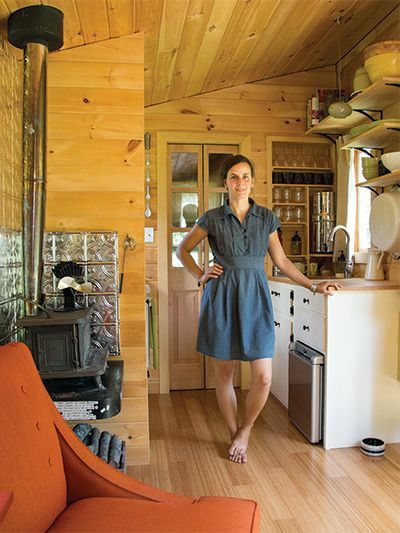 The EPA appears likely to accelerate the transition to testing with cordwood but industry seems to favor an ASTM cordwood test method while some states and others are developing a new method that reflects how stoves are used by homeowners. 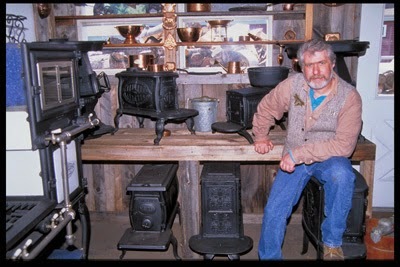 This method, call the Integrated Duty Cycle (IDC) method is still in draft form and is a drastic departure from the traditional way that stoves have been tested since the 1988. 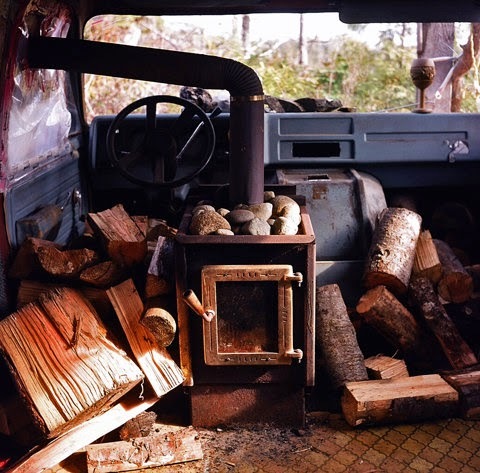 The EPA could also decide to weaken emission limits for wood boilers, which would primarily benefit the outdoor wood boiler industry led by Central Boiler. 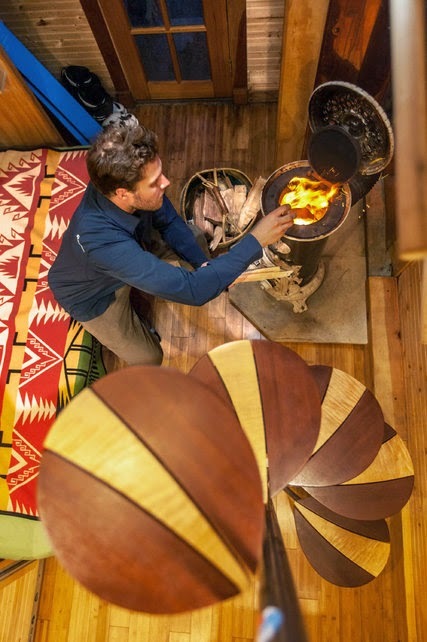 Since the 2015 regulations went into effect, scores of wood and pellet stoves and boilers have been tested to meet the 2020 standards and most prices have not gone up significantly. The 2015 regulations began a process of requiring that manufacturers test and report their efficiencies, and delaying the 2020 deadline would set back efficiency disclosures, harming the ability of consumers to choose more efficient appliances. 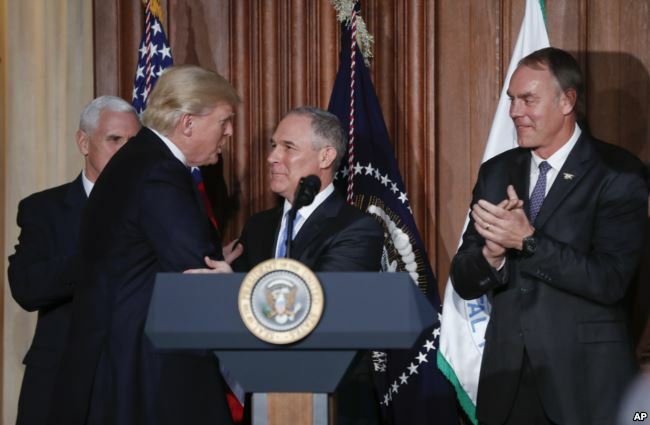 States are allowed to set stricter standards but not looser ones, and if the EPA were to weaken the federal rule too much, some states could either stick to the original standards set by the Obama administration in 2015 or develop new ones. 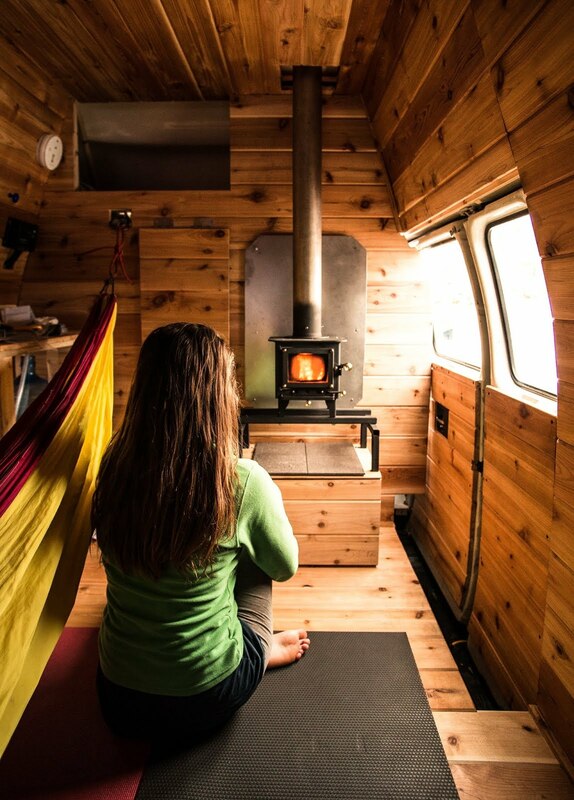 States like New York, Oregon, Vermont and Washington are already battling long-term wood smoke problems and have started to chart their own course for wood heater regulations. If several states adopted a different cordwood test method or stricter emission standards, they could have a “California effect” of moving the entire market. 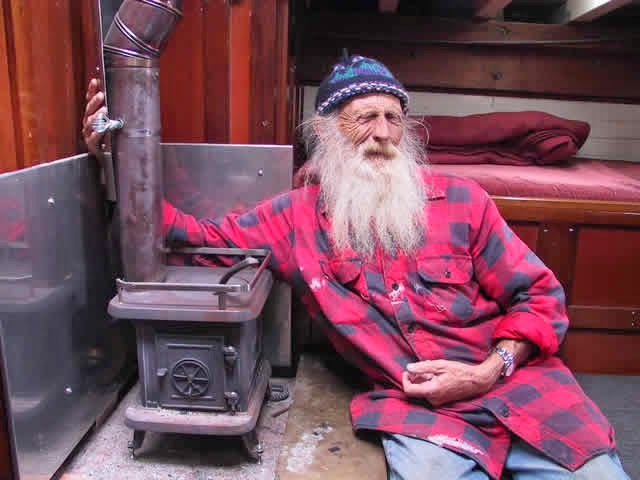 “We are very concerned that the Trump Administration may weaken consumer and environmental protections for wood stoves,” said John Ackerly, President of the Alliance for Green Heat, an independent non-profit that promotes cleaner and more efficient residential wood heating. 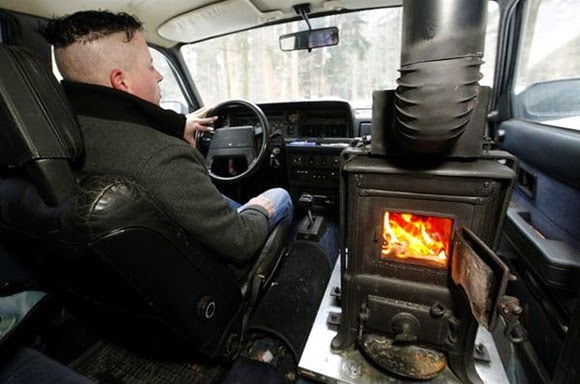 “Wood and pellet stoves are vital to help families affordably reduce fossil heating fuels, but we can’t move this technology forward unless they can burn cleaner in people’s homes,” he said. 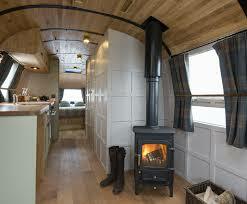 With the advent of the tiny home movement, there is a rise in interest in tiny stoves to heat them. 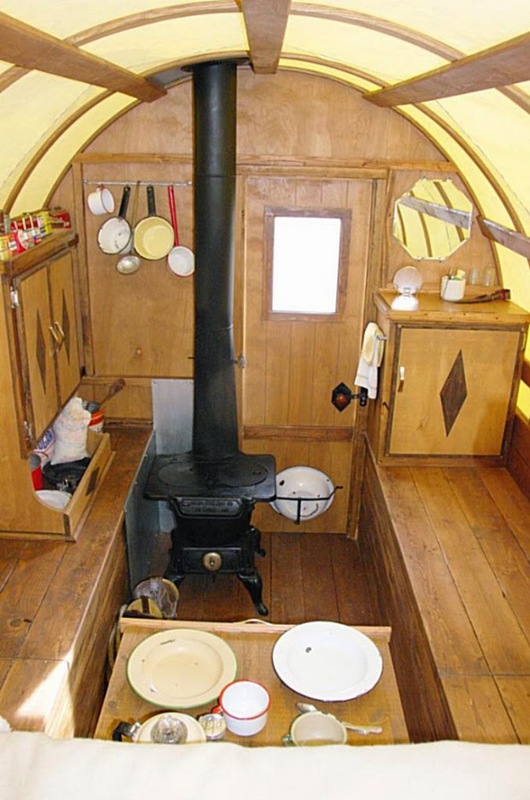 Tiny stoves have always been around, mainly driven by the sailboat industry, but also for yurts and small homes. Small stoves are often thought of as stoves with a firebox of less than one cubic foot. But some are much smaller than that and may put out no more than 10,000 BTUs. 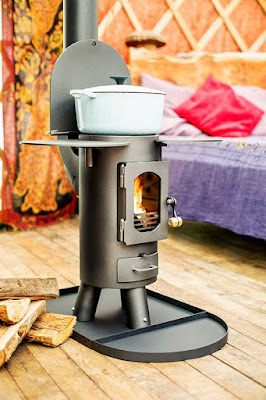 There will also likely be a growing market for very small pellet stoves, like the Thelin Gnome, as living spaces get smaller and tighter. 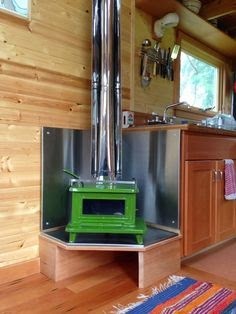 The paradox of heating a small space is that it may not be hard to heat up, but it also gets cold quickly after the stove goes out. 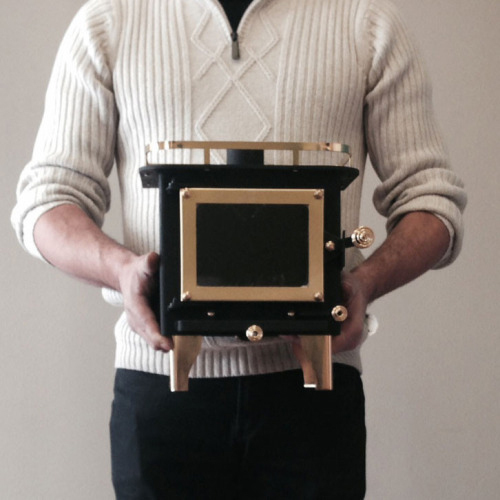 The fireboxes are so small that they go out quickly. 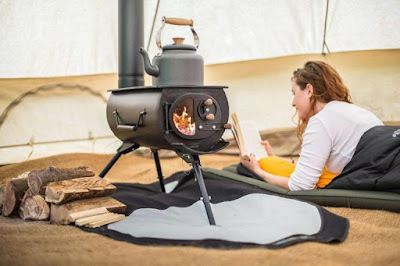 Often, tiny stove need to be reloaded every 20 - 60 minutes, depending on the size of the fuel and whether the stove is just getting going or has a decent coal bed. 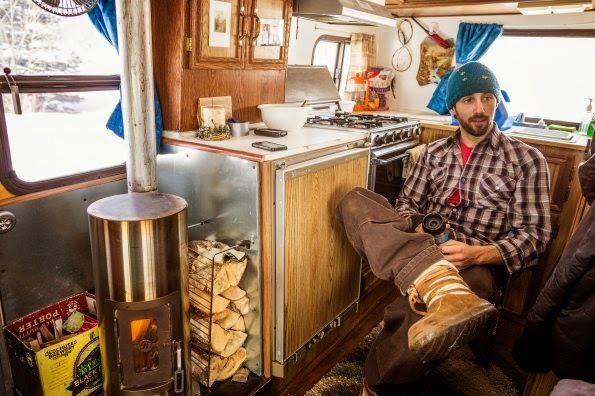 A few of these stoves are EPA certified, including the Kimberly and the Gnome pellet stove. 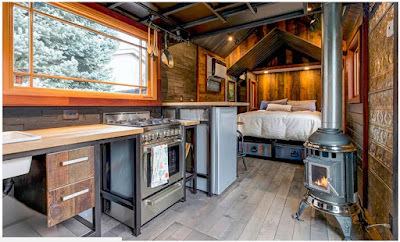 If they are designed for boats, vans, trailers or for camping or other non-residential spaces, they should fall outside the EPA's regulations, which only pertain to residential heating. However, even if they do not require to pass EPA emissions testing to go on sale, they may not be allowed to be installed in a tiny home. See our other photo essays on wood stoves styles around the world, wood fired hot tubs and firewood gathering around the world. 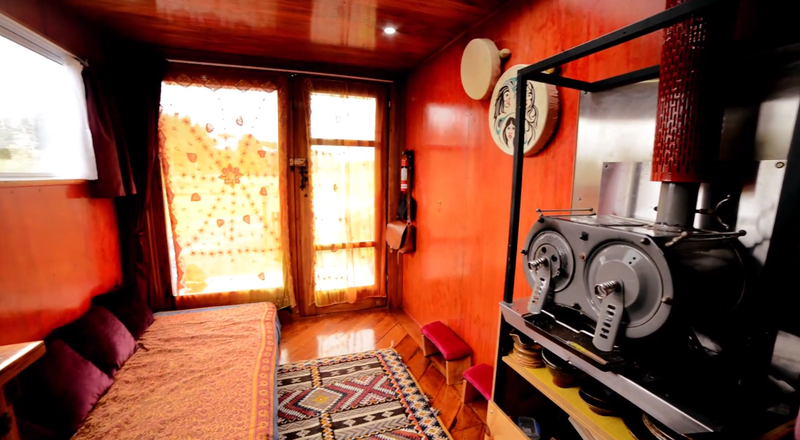 To minimize space, tiny stoves can be mounted on the wall. 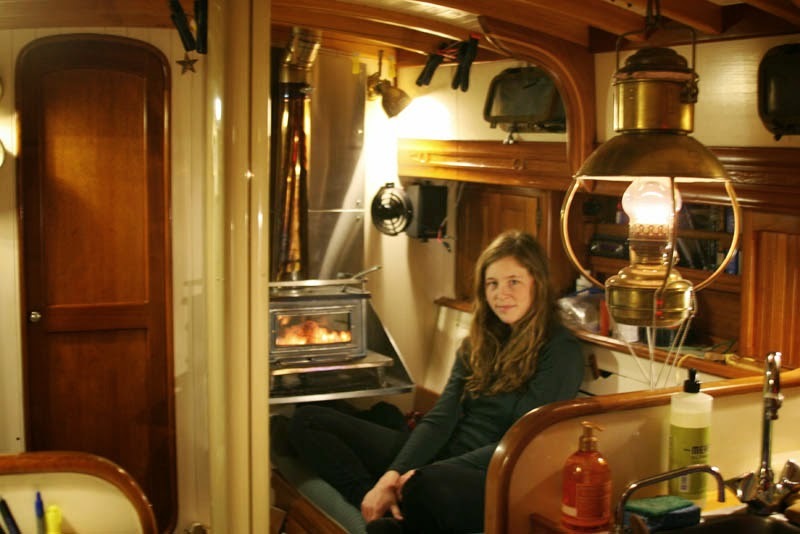 Using wood stoves in boats, vans and tiny homes can pose a great risk of carbon monoxide build up than in larger spaces. Be sure to install a CO detector, store your ashes outside and ensure the draft doesn't reverse back down the chimney. 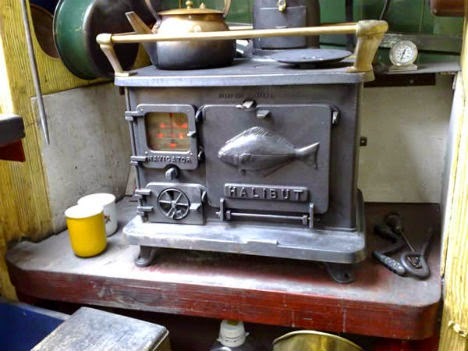 Tiny stoves are often installed on counters or shelves so that operating and cooking on them is easier. 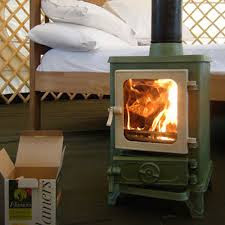 Yurts are traditionally heated with larger, inefficient stoves, not small, sleek ones like this. The Gnome pellet stove is the smallest pellet stove on the market and claims to run for more than 24 hours on one hopper load of pellets at low heat. The Viking 30 cookstove is part of a retro line of wood stoves from the UK. 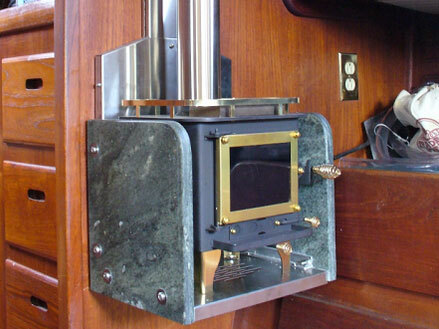 A small stove in a classic Airstream trailer.